What are the top science podcast of 2018?. Want to learn more about the world around you? Subscribing to a science podcast is an excellent place to start. This list of popular podcasts is guaranteed to excite university professors and internet nerds alike. Sawbones explores the exciting and often gross world of medical science. Sawbones: A Marital Tour of Misguided Medicine chronicles the dark, disturbing and hilarious history of medical science. Hosted by comedy duo Dr. Sydnee McElroy and her husband Justin, this show takes a light-hearted approach to some gross topics. Current medicinal trends such as CDB and the ketogenic diet are also discussed. The hosts have excellent chemistry, which makes every episode fun to listen to. Some of the stories about past medical treatments and experiments are pretty graphic, so this show isn't for the easily disturbed. Best Space Podcast: Are We There Yet? Get prepared for life in space with Are We There Yet?. What will living in outer space be like? The idea may not be a distant fantasy anymore. NPR reporter Brendan Bryne talks with astronomers, museum curators, and politicians about the prospects of human space exploration. Topics include the future of space travel, the legal implications of owning property on the moon, and painting in space. The host and his guest will get you thinking about issues you've never considered. It's a great show for problem-solvers. Most of the episodes are only about 20 minutes long, which might leave some podcast lovers wanting more. If knowledge is power, this show brings power to the people. How scientific research is presented to the public is just as important as the research itself. On this podcast, researchers, writers, and other experts examine how science intersects with history, politics, and pop culture. Anyone can listen to episodes for free, but Patreon supporters receive bonus content and other perks. The guests do an excellent job of explaining how scientific research affects our daily lives. Topics like natural disasters, viral pandemics, and chemical attacks may be too disturbing for some listeners. Radiolab remains one of the most popular podcast on the web. The Peabody Award-winning podcast Radiolab is probably one of the most popular podcasts ​of all time. Going strong since 2002, host Jad Abumrad discusses the strange and mysterious side of the natural world. Catch it on your local radio station or listen to episodes for free. With hundreds of episodes available online, the archives contain thousands of hours of content. The show has veered off into exploring non-science topics, but curiosity remains the focus. Get your weekly dose of Neil deGrasse Tyson from Star Talk. What's a list of good science podcasts without mentioning Neil deGrasse Tyson? Everyone's favorite astrophysicist sits down with a diverse range of guests, from Bill Nye the Science Guy to director James Cameron, to talk about astronomy, physics, and pop culture. You can watch the video version on the show on Amazon Fire TV, Apple TV, and Roku. You have to pay a subscription fee to stream all of the episodes ad-free. Anyone can become a physics expert thanks to Titanium Physicists. Join Dr. Ben Tippett and his team of physicists as they break down complex subjects like black holes, lightning, and quantum mechanics for a general audience. In each episode, two physics experts explain complicated concepts to a guest using experiments and creative metaphors. The official website has episodes organized by topics, so you can easily find a topic you're interested in. Unfortunately, the website is poorly designed, so you may be better off listening via iTunes or Stitcher. Gain a new appreciation for what you put in your body. Gastropod isn't a cooking show, nor does it have anything to do with the bacteria of the same name; it's a show about the science and history behind what we eat. In addition to exciting subjects like the science of Jell-O, the hosts also discuss important social issues like world hunger. Since food is a topic that interests everyone, the things you learn can make you a more interesting dinner partner. Subjects like cannibalism might be upsetting for some listeners. This show will definitely change the way you look at food. SGU will never lead you astray of the truth. Host Steven Novella is providing a valuable service to the world by debunking pseudoscience and superstitions with the power of facts and logic. The host and a panel of authors, scientists, and fellow skeptics explain breaking scientific developments in a way any listener can understand. This show bravely tackles the dangers of homeopathic medicine and the anti-vaccine movement. The show is very formulaic, so you'll be able to decide pretty quickly if it's for you. Science Friday is another reason to look forward to the weekend. Science Friday first hit radio airwaves 25 years ago. Since then, its hosts have interviewed some of the world's top scientific minds. Keep an ear out for Science Friday on public radio stations, or listen for free on the website. The website also includes videos, articles, and useful resources for educators. The show is supported by the Science Friday Initiative, a non-profit organization, so there are no ads and no biases. Each episode is two hours long, which is great for science nerds, but it may push the limits of some listeners' attention spans. If nerdy talk gets you excited, this show is for you. Every week, journalist Cara Santa Maria speaks to a different guest about topics that don't get enough mainstream attention. For example, she recently spoke with the Quality Assurance Manager of MedCure, Inc. to find out what happens when you donate your body to science. You'll always learn a lot about a single subject. The show features a lot of ads, but they often include promotional codes that allow you to save money on services like Blue Apron. Julia Galef brings rationality to an irrational world. The official podcast of the New York City Skeptics tackles important social issues like public health and national security through a scientific lens. Host Julia Galef isn't afraid to challenge guests with controversial opinions about public policy, ethics, and patients' rights. Many episodes focus on systematically speculating about the future of technology and emergent scientific trends. Some of the concepts discussed can be rather abstract, which might bore some listeners. Let Astronomy Cast broaden the horizons of your universe. When Pluto was demoted from a planet to a dwarf planet over a decade ago, the first episode of Astronomy Cast covered the controversy that literally changed our solar system. Join Dr. Pamela L. Gay and Universe Today publisher Fraser Cain on their continued journey through the cosmos. The massive archive contains transcripts of every episode. A lot of recent episodes have been updates on previous episodes, so some of the information covered is repetitive. Don't let the title scare you; The Naked Scientists is safe listening for all ages. The Naked Scientists is an hour-long science news show that encourages audience participation. 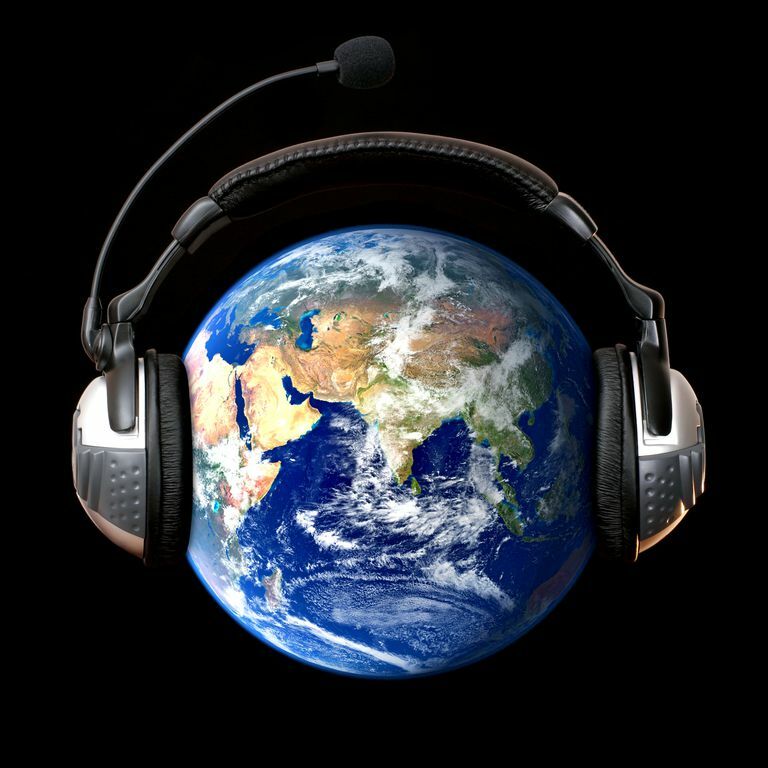 The hosts conduct on-location reporting, and prominent scientists answer listener questions live on-air. Guests have included world-renowned microbiologist Dr. James D. Watson. A segment called "Kitchen Science" teaches listeners how to conduct their own experiments at home. Since the show airs live, the quality of each show depends heavily on the quality of audience interaction. Get your science news in manageable minute-long chunks. The name says it all. The 60-Second Science podcast covers the latest news in the fields of medicine, astronomy, biology, and more in manageable chunks. This show is perfect for busy people who want to keep up with breaking scientific developments. Obviously, you can only learn so much in a minute, so consider this show supplemental listening. Get quirky with Bob McDonald. The CBC's award-winning Quirks & Quarks is technically the longest running show on this list. It first hit Canadian radio airwaves four decades ago, but now listeners all over the world can tune in online. Host Bob McDonald provides expert commentary about recent scientific discoveries. Host Bob McDonald explores the social implications of scientific and technological advancements. If you're trying to avoid shows that discuss politics, this show isn't for you. Science doesn't have to be so serious. Physicist Brian Cox and his co-host, comedian Robin Ince, offer a refreshing blend of comedy and science news. Most episodes bring together other scientific experts and comedians to discuss trending developments in the fields of astronomy, biology, and even philosophy. A new book based on the show includes audio narration by the hosts, which makes for entertaining reading and listening. Some guests are more concerned with getting laughs than discussing science, but the host is good about keeping conversations on track.